You don’t need a linen closet to tuck away all your bed clothes. Why not create a functional, yet stylish space by storing your linens in a blanket box? 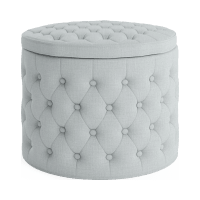 Our blanket boxes and bedroom ottomans add a touch of sophistication and instant glamour to your room. 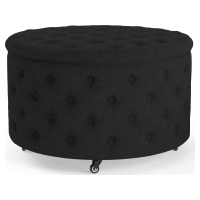 After all, what could be more luxurious than a superbly designed ottoman by your vanity? Choose from a range of styles and colours to suit your existing bed head, bedside tables, and other bedroom furniture. Our rectangular blanket boxes make the perfect extension of your bed base, while our round boxes are ideal for smaller bedrooms. Play close attention to our blanket boxes and you’ll notice the craftsmanship. Our ottomans and storage boxes are crafted with precision by expert artisans, using only the best woods and fabrics. On the surface, these boxes are decadent seats with no effort spared in embellishments such as tufting and panelling. Yet they’re primarily storage units, helping you conceal your blankets and spare pillows. 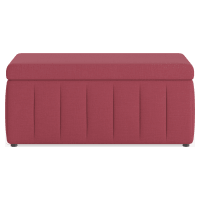 Browse our collection of ottomans and blanket boxes online at Brosa today to design a stylish yet practical bedroom.